The health and beauty industry is undergoing a revolution of sorts, with CBD finding its way into more and more products. Man consumers are drawn to the hype around CBD, especially now that they have understood how beneficial and natural it is! Walk into any CBD store today there will be an array of products like CBD Gummies, Vape Pens, Topicals, Capsules, and a lot more. Which shows us how CBD has caught on in a big way. Here’s a look at some emerging CBD trends which you will find this year. 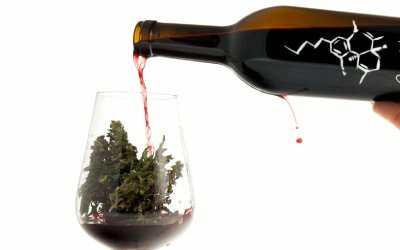 One of the industry’s next big trend is weed-infused wine. Since being legalized in California and elsewhere, wine and weed is all set to rule. It is said that Canadian investment bank Canaccord Genuity LLC estimates that marijuana-infused beverages could become a $600 million market in the U.S over the next few years. Brands like CannaVines and Cannawine are working towards combining CBD with wine, but due to legalities alcohol is to be removed from the wine. Putting CBD in alcohol and beer is not easy as CBD tends to float like oil in them. Water infused with CBD is quite interesting and new. Many of these bottles use the word ‘Nano’ which a technique pioneered in the pharmaceutical field which was created to improve the bioavailability of oil-based drugs. 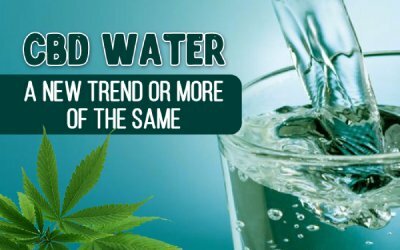 CBD water is a far more effective way to consume CBD. It is made with advanced technology where the water and CBD oil must be homogenized into an emulsion. It tastes just like regular water and is absorbed more into the blood steam than regular consumption. 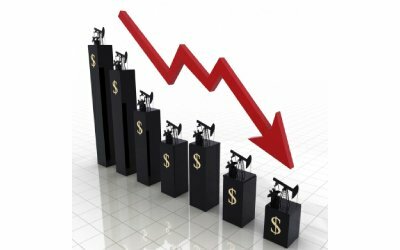 Since the market is moving towards saturation the prices of hemp continue to drop. The pric e of a 1,000 mg CBD oil has come down to $100, a far cry from the high rates earlier. As mentioned, packages and branded hemp flower are still expensive, but that’s likely the only exception to the rules of supply and demand. It is estimated that the Hemp flower pricing will likely drop drastically this season, as an enormous nationwide hemp harvest comes in. With increased knowledge on the health benefits of CBD, seasoned users ask informed questions, and discuss their knowledge with friends after thorough research. They would prefer to have a brand which works for them based on their own personal experiences. Such awareness brings in high standards and quality because of competition. Due to this customers are seeking out customized products. For instance, tinctures specifically for improved sleep or edibles specifically for athletes. Thus companies are beginning to concentrate on customized products which are important for specific people and ailments. 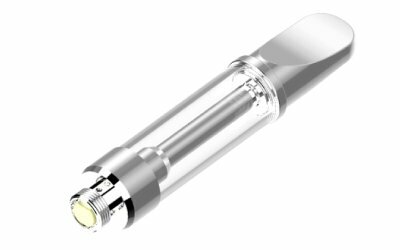 Novelty concentrates are making their way into the market too, after all. With the sales of craft beer soaring last year, a mix of craft beer and CBD therefore be a winning combination. 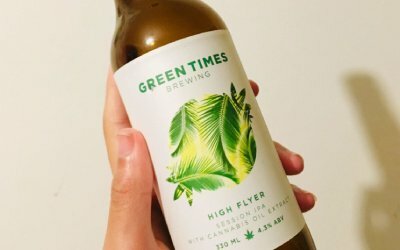 Green Times Brewing is a UK-based company has created a craft beer. It is exciting, healthy and according to them, it is “jam-packed with cannabinoids, terpenes and exotic flavors. This is another new trend which we hope will make it big in 2019. Peter Rob is a health and wellness enthusiast. He likes to binge watch Sons of Anarchy on Netflix when he isn’t trying out new recipes he finds out online. He is a yoga trainer, and a fitness expert. He is usually seen taking long walks in the park with his dog.